Voice Over Internet Protocol (VOIP) calls could make your customer service communication better and much more professional at a relatively cheaper investment. Stella Wilson talks about a few important VOIP features. Establishing a business requires work in several areas. A business needs to develop a brand, market that brand, set up a website and create a professional customer service option. Creating that professional customer service option can be difficult for some companies to achieve. Unfortunately, many companies will start by hiring customer service agents first rather than with the phone line base. The options for professional phone systems are staggering, but there is one that will help refine your business communications. That option is the VOIP service option. 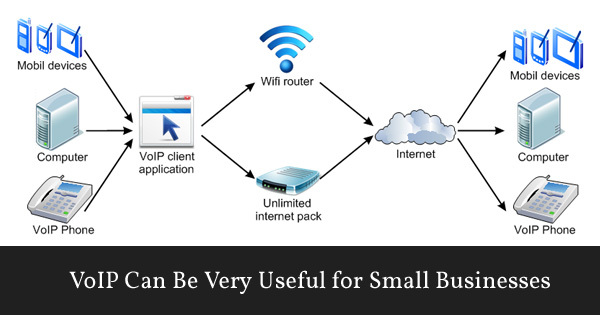 The following are several ways that VOIP business telephone solutions can refine your business communications and build a professional customer service option for your business. Multiple phone lines is one way to refine your business communications. The problem is that many businesses would like to retain a landline phone service for fear that the IP phone systems will not have the clarity a landline phone provides. This often leads to businesses spending triple or more on their phone service in order to provide the clarity they believe they are missing and the multiple lines they require. The truth is, clarity on VOIP phone lines has improved greatly over the last few years. In fact, many of the major landline phone providers now offer a cable based or IP based phone solution for a fraction of the cost. Multiple line options are generally considered part of a business package as well, meaning the business can save hundreds a year by simply switching to the VOIP solution. Voicemail is considered a standard for many phone companies as a service to their customers. However, a landline service only provides the ability to have one centralized voicemail. If the company chooses to refine their business communications, then stepping up to multiple voicemails for various extensions and multiple lines is necessary. This is possible for a low fee if the VoIP option is chosen. If you are a busy business owner, but need to maintain connection to your customers in order to refine your business communications, then VoIP services are the way to go. With a solid VoIP service, you can choose to have your calls forwarded to your cell phone or home phone. This means you will not miss a call when you are out handling other business matters. Voice over Internet Protocol (VoIP) architecture. There may be several features offered on a VOIP service that you would like to disable in order to refine your business communications. In these instances you can simply login to the your VoIP account and change the settings. Settings for services such as caller ID, three way calling, conference calling, call forwarding, call block and even straight to voicemail options are available for adjustment through most VoIP client dashboards. If you need to turn off, discontinue or change the way a service functions to benefit your business you can simply login and make the changes you need. If you decide at a later date to turn the features on, then you can login to your VOIP dashboard and simply change the settings to default, on or moderated. Stella Wilson is an established writer and likes writing interesting articles related to voip telephone systems.